Goway Travel is offering travellers in search of luxury the chance to tailor their style of adventure with unique trips to Peru, Australia, Italy, and other popular destinations. Different Globetrotters have different interests and those in search of something more upscale can have very different ideas about what that means. Fortunately, Goway is ready to realize a wide array of luxury travel ideas. That means accommodation at the best first class properties, along with bonus experiences and privileges to make the trip extra special. Goway’s Stays of Distinction are hand-picked properties that embody not just the highest level of comfort and service, but the very essence of their location. 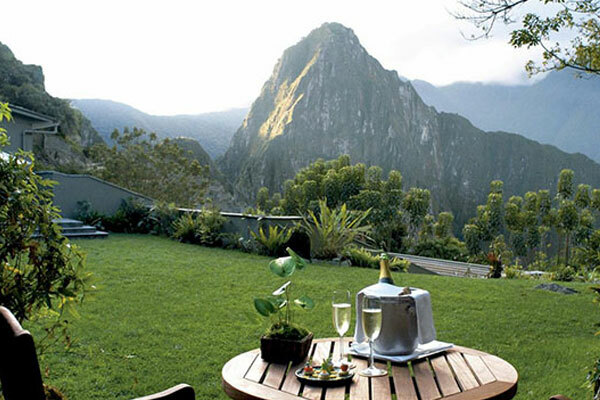 These include Sanctuary Lodge in Peru, the only hotel located right at the entrance to Machu Picchu in Peru and Lizard Island in Australia’s Great Barrier Reef. South Africa’s Tswalu Kalahari Reserve is the largest privately owned game reserve in South Africa. Despite its size, the reserve has only two lodges, accommodating a maximum of just 30 people. For even greater seclusion, or with health and wellness in mind, travellers can fly to the Himalayan foothills of India. Here, Ananda Wellness Retreat packages offer total relaxation with a range of health-focused activities just outside Rishikesh and Haridar, the very centre of the yoga world. Goway’s luxury offerings also include self-contained vacations that may take the form of city breaks or extended island getaways. The Hotel de Russie in Rome is another of Goway’s Stays of Distinction. This package however includes private tours of contemporary Rome, the city’s ancient highlights, the Vatican, and the Roman Catacombs, creating a uniquely styled city break or first visit to Rome for the discerning Globetrotter. The Maldives Escape is a combined air and land package exclusive to Goway, including round-trip airfare from North America with Emirates via Dubai, inter-island seaplane transfers to JA Manafaru Resort, 7 nights in a sunrise water villa with private infinity pool, and breakfast daily. Go to http://www.goway.com for more.